Like many moms, I feel that homework is one of the toughest time of the day. I find myself annoyed at my kids because they resist doing their work and complain the entire time. Learning time has become a big challenge and an unpleasant time in my household. So, when a toy boasts of making learning fun, I was eager to try it out; especially a toy that has won the Tillywig Brain Child Award! 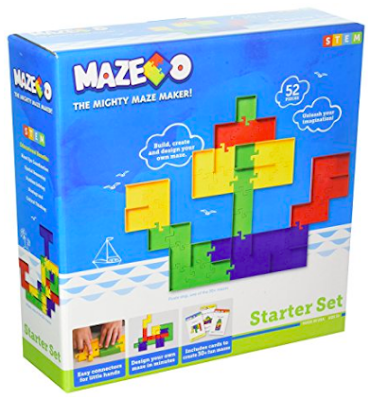 The Maze-O toy is an open-ended maze-building game. 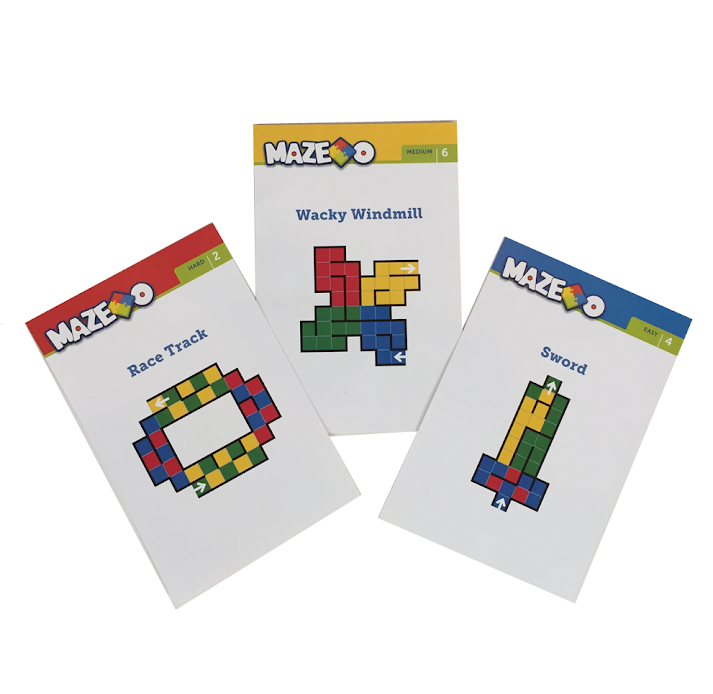 It lets kids create and design their own maze or build a maze by following the designs on the activity cards provided. 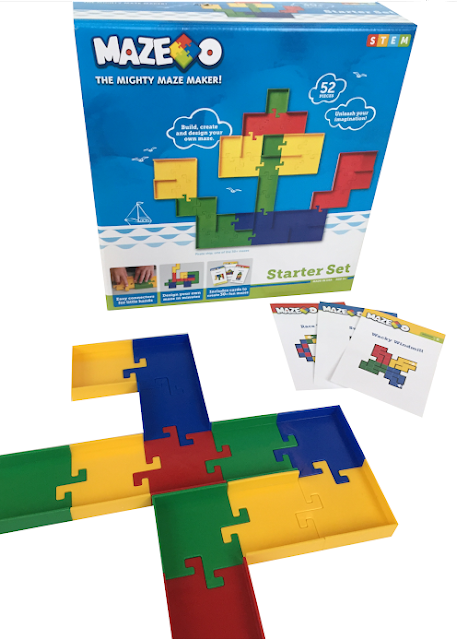 The starter set comes with 52 colorful pieces in various shapes. Each maze piece is about 2 inches by 2 inches, a perfect size for my kids to easily build mazes with. The Maze-O was big hit with my kids. We’ve had it for about a week now and both continue to play with it almost every day. I love that the Maze-O is simple and easy to learn. From the moment we opened the box, my 7 years old son and 5 years old daughter immediately started creating their own mazes. They then went through several of the activity cards recreating the designs on them. After playing for a while, both of my kids tried to stump me by building tricky mazes. In doing that, they were thinking and challenging themselves to build more and more complicated designs. I am impressed that after a week of use, the maze pieces were still intact. 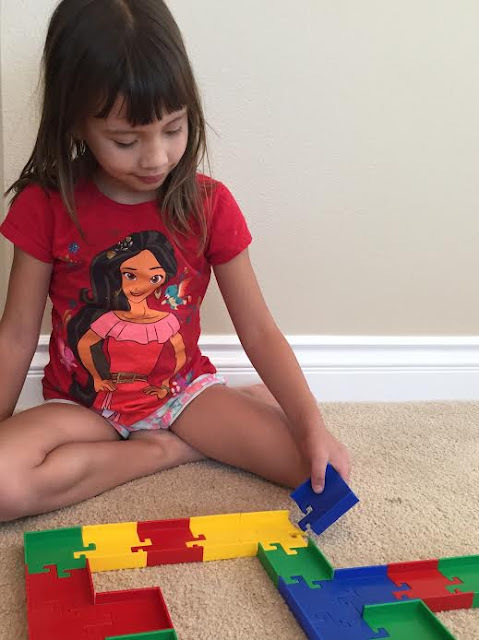 My kids are pretty rough with their toys, but the Maze-O have held up to their rough play. The pieces are sturdy and connect together easily. They don't fall apart if bumped or moved. 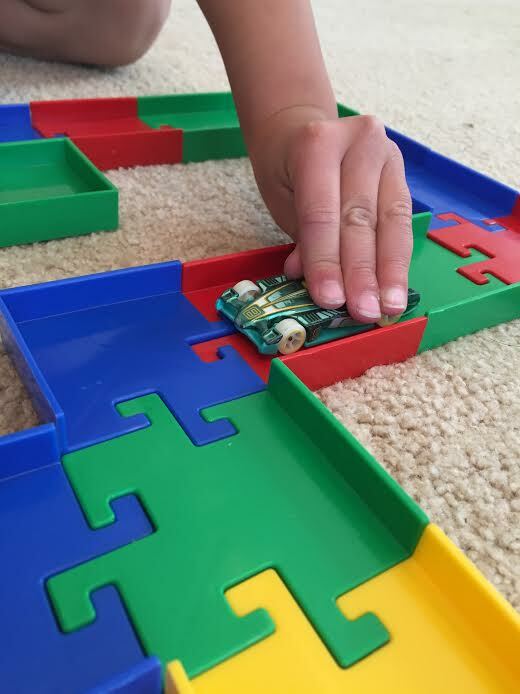 I am pleasantly surprised that my kids continue to play with the Maze-O, that it hasn’t become one of the many toys they toss aside after a day or two. What keeps their interest in the Maze-O is the fact that it’s such a diverse toy. They can use their reading/following directions skills to build the designs on the activity cards. Or, they create their own designs, which could be mazes, road ways, or objects. My kids also love driving their little toy cars through the mazes they build because the pieces are wide. The Maze-O has truly been an amaze-ing toy (pun intended). It made learning so much more fun in our house. I can see why it is considered one of the best educational products available in today's marketplace! One Winner will Receive the Maze-O Toy! I love that a child can use their imagination and create their own mazes! It's great that they're colorful, creative and easy to use.